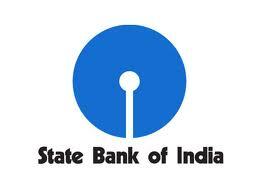 If you are looking for the SBI SO Call letter 2015 then you can follow the following steps to download it. The admit card will be available online on the sbi website before one or two weeks of the examination. State bank of India is going to conduct online examination for the recruitment of candidates for the position of specialist officers in sbi bank under the recruitment 2015-16. Thousands of candidates had applied for this post online through its official website and now they are engaged in the preparation of specialist officer examination. All these candidates are eagerly waiting for the SBI SO Exam Call Letter 2015 to be available online on the official website of sbi www.sbi.co.in. Candidates appearing in the recruitment test (online) of sbi for the post of specialist cadre officers will be able to download their call letter on or after 1 June, 2015 from the direct link provided below. The online test is scheduled to be conduct on 14 June, 2015 at various exam centers / venues mentioned during the online registration of application. Candidates already select their desired or nearer exam venue during application registration which closes on 27 April, 2015. The online registration for SBI Specialist officers 2015 was ended on 27 April, 2015 and as per the official notification, SBI SO Call letter 2015 will be available online after 1 June, 2015 while exam will be conducted online on 14 June, 2015. Candidates are advised to keep their registered-email id alive for receiving advices, call letters/ interview advices etc.Candidates must have their registration number and password/ date of birth to download call letter from the official website. No hard copy of the call letter / admit card will be sent by post. You can visit the official website of bank – www.statebankofindia.com or www.sbi.co.in for more details related to this recruitment exam.